Michael Harder is a mobile storyteller with his camera. Here you will find images from his many travels. 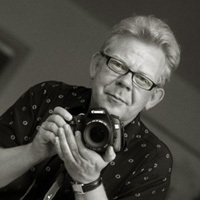 He is specialized in documentary, photojournalism, landscapes and portraits on location. Michael Harder was born in Denmark 1961 and graduated from The Danish Academy of Photography in 1986. He is a member of The Danish Union of Journalists, with more than 20 years of working experience. Extensive travels in Eurasia, America and Africa. Michael Harder is represented by ALAMY - the image brokers.